Can DNA Be the Next Big Thing in Data Storage? The world’s data is growing too quickly for our current storage mechanisms. Humans generate hundreds of millions of bytes of data every day. We overload servers that take up a large amount of physical space, power, and energy. A recent breakthrough in DNA data storage may hold the answer—in a much smaller and more durable medium than giant data centers. I’ve previously discussed how bioware is made possible by pushing data to the atomic level. First, you convert digital codes to genetic codes—a feat in and of itself. Once the coding units are small (less than half a nanometer on each side), you take the new text file and construct the molecule it represents. The new units aren’t only smaller than typical units, which are around the 10-nanometer mark, but they also hold thousands of times more information. That’s because DNA can pack units three dimensionally. 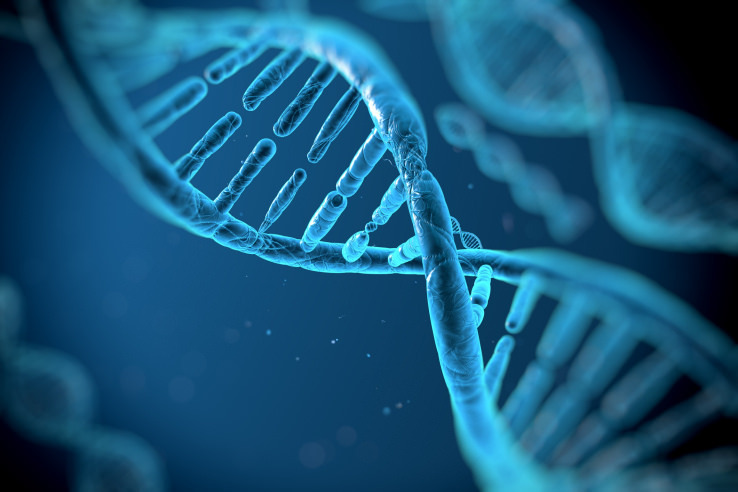 These processes require cutting-edge technologies, data compression techniques, and optimized security to enable the accuracy of information stored in DNA. Save physical space. The incredible density of a DNA molecule would eliminate the need for massive data storage centers. Scientists estimate that they could fit the equivalent of about 100 giant data centers into one shoebox of DNA. Spend less on data storage. The DNA’s double helix structure offers the ideal solution to expand the density and lower the costs of current data centers. DNA can roll up tightly, as a sticky molecule, and unroll easily when needed. The cost of storage would drop significantly if we switched to bioware. Have peace of mind. The durability of DNA data storage greatly exceeds that of magnetic tape, which lasts a few decades at most before deteriorating. DNA molecules can survive for hundreds of thousands of years without special storage. As proof, researchers recently reconstructed genomes from DNA in bones over 400,000 years old. I believe that we’ll see a real-life transition from hardware to DNA data storage in the next five years—or sooner. As science catches up with the imaginations of researchers, the only remaining issue seems to be price. However, like all new technologies, I’m betting that the price of reading and writing DNA will plunge. In fact, it already has: the cost to sequence a human genome in 2007 was about $10 million. In a mere eight years, it plunged to only $1,000 in 2015. The current state of DNA data storage is impressive, and it opens the door to dozens of questions about the future. Now that DNA data storage no longer exists only in science fiction, it’s time that we examined what it will actually look like. Where will we store the DNA? Will people become walking storage centers? How will DNA storage change the way that we share and access data? These are just a few of the many questions that I have when I imagine a world where DNA is the new RAM. While the answers at this point are purely speculative, they may become our reality sooner than you think. Researchers from the University of Washington propose architecture for a DNA-based archival storage system with random access support. The report describes storage containers with compartments to store pools of DNA. A DNA synthesizer converts data into DNA pools and deposits them into the storage library, while a DNA sequencer reads and converts DNA back into digital data. The system will use a key-value interface to identify each DNA pool and a mechanism that will retrieve only the portions of the pool you need. Based on this report and others like it, we can likely expect DNA data storage to resemble current storage techniques, but on a much smaller scale. Whether these predictions will come to fruition is anyone’s guess. What I do know is that DNA data storage is on the horizon—and the future for more efficient storage looks like a double helix.